Acclimatize and prepare for the trek. The day is free to visit the Gompa and the meditation quarters of the monks. Get to know your trekking team and have a informal briefing about the trek. Departure to the Airport for flight to Delhi. The trek to the top of the Pass Yar La (4950 Mts.) is not as hard as the past two passes. 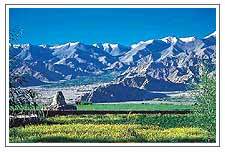 There are fabulous views of the Rupshu plateau from the top of the pass. Easy descent to the Village of Lungmo Che takes a little more than an hour. Trek to the Lun (passing a few villages on the way. Camp 3 kms before Lun, the area is inhabited by Tibetan Nomads called Khampas. Spend the next day at this camp for some well deserved rest. Drive from Sarchu to Jispa over the Baralaccha La Pass. Spend the night at Hotel. 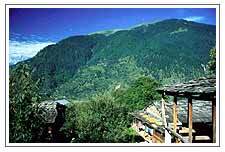 Drive from Jispa to Manali in the famed Kullu Valley. Overnight at Hotel.